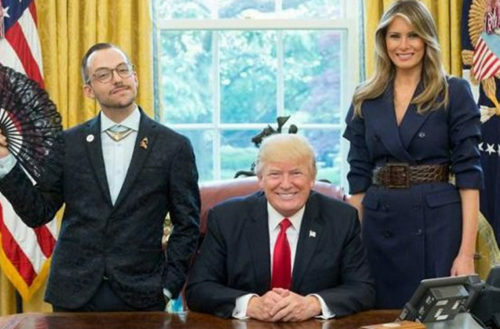 Rhode Island’s 2017 teacher of the year Nikos Giannopoulos, a teacher at Beacon Charter High School for the Arts, has become internet famous after a picture of him standing beside U.S. President Donald Trump and his wife Melania went viral. 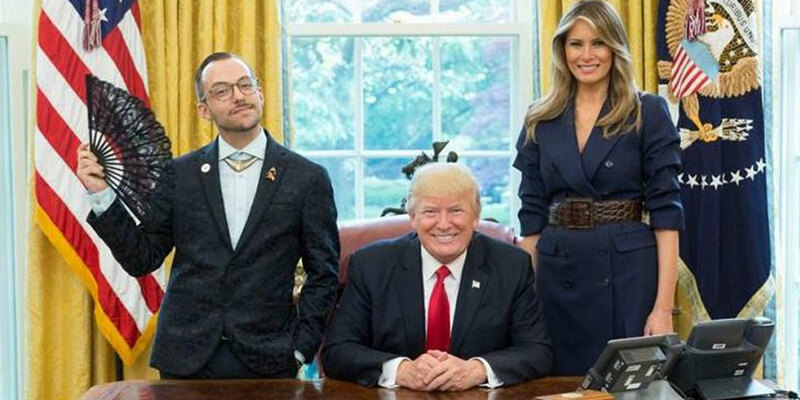 In the photo, Giannopoulos looks unapologetically, fabulously queer: wearing a rainbow pen, a stylish necklace and holding a black lace fan, his head humorously cocked to one side. During his brief visit to the White House, Giannopoulos also met U.S. Secretary of Education Betsy DeVos. In two separate congressional hearings, DeVos has intimated that she will let federally funded schools discriminate against LGBTQ students.